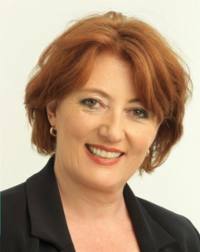 As a former TV presenter, Maggie Barry shouldn’t need much media training advice. She knows what journalists look for. So she must have known that her attack on the childless Jacinda Ardern’s credibility in commenting on paid parental leave would make the news. From a media training standpoint, the use of conflict or the hint of an attack is a great way to get publicity. If that was Barry’s aim, she certainly succeeded. But this is unlikely as the subsequent publicity has been predictably negative towards her. In many ways, she’s lucky there has not be more covered on this in the media. She can probably thank the Olympics for that. As we tell our media training clients, how much coverage you get for something will depend on what else is going on in the news. Luckily for her, the build up to the Olympics is using up a significant amount of column centimetres. But what she may not have bargained for is the level of negative activity related to her comments on Twitter. For example one tame comment said: “Only MPs named Sarah can talk about CERA according to Maggie Barry” while another of the less offensive posts said: “No more references to Willie Apiata by MPs who haven't rescued comrades under enemy fire under Maggie Barry Standing Orders.” This is a great example of how social media has become so powerful when it comes to the reputations of politicians, or any other group. People no longer get their news solely from traditional media, but from anyone who cares to share their views through networks like Twitter or Facebook. My media training advice to Barry from the beginning would be to apologise for her comments. People don’t care when people make mistakes. What they care about is whether they are prepared to apologise for them.